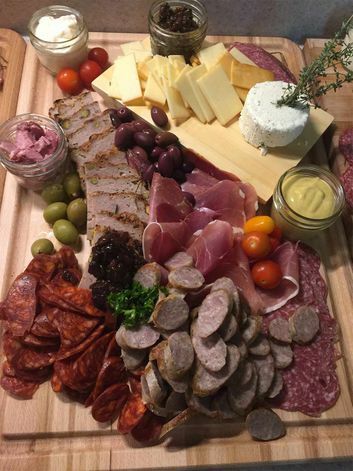 Have Our St. John’s Party Caterer Make Something Special! When you plan a special event, you want everything to go as planned. With Red Oak Catering, we take away all the anxieties hosts often feel on the day of a big event; we supply everything from the tables and chairs, to the bartenders, tablecloths, cutlery and china. We will hang coats and greet guests as they walk in the door. Our uniformed wait staff will then serve them with the best catering St. John’s has to offer. Simply relax, let us pull up a chair and treat you to what we do best! After your event, Red Oak Catering will thoroughly clean up your space — even if it means coming back the next day. Be our guest and put our service to the test — call Red Oak Catering, today! “Thanks so much for helping to make our wedding the most flawless day. I was really impressed by the organization and service, and people haven't stopped talking about how great the food was!” - Elizabeth B.